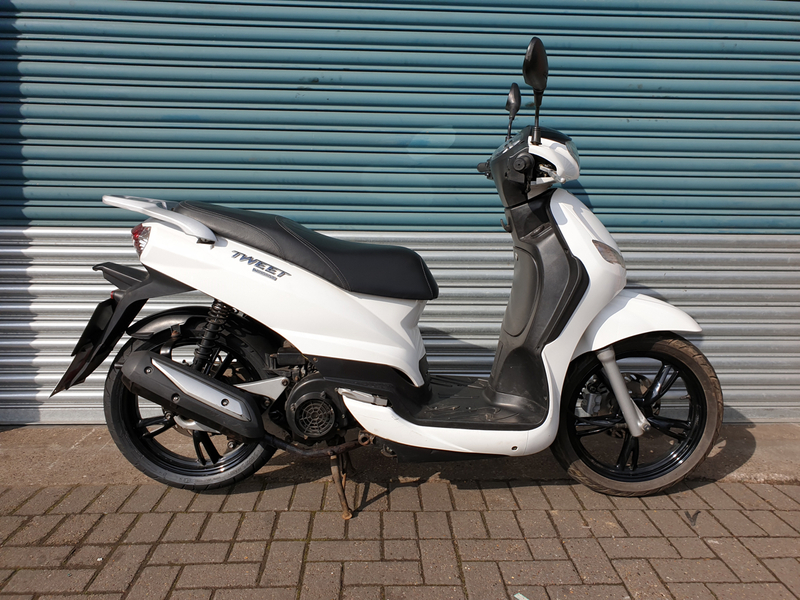 Fully automatic, twist and go – this Peugeot Tweet comes in gloss white colour with contrasting black saddle. 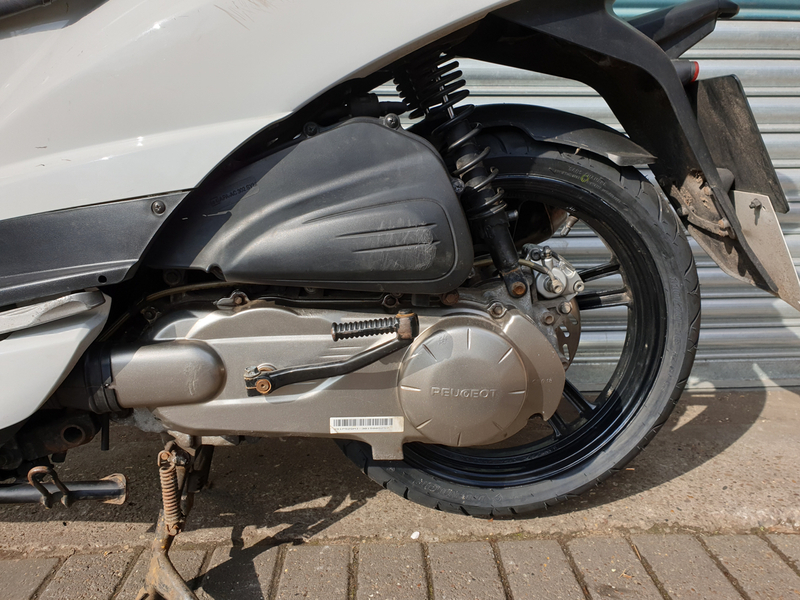 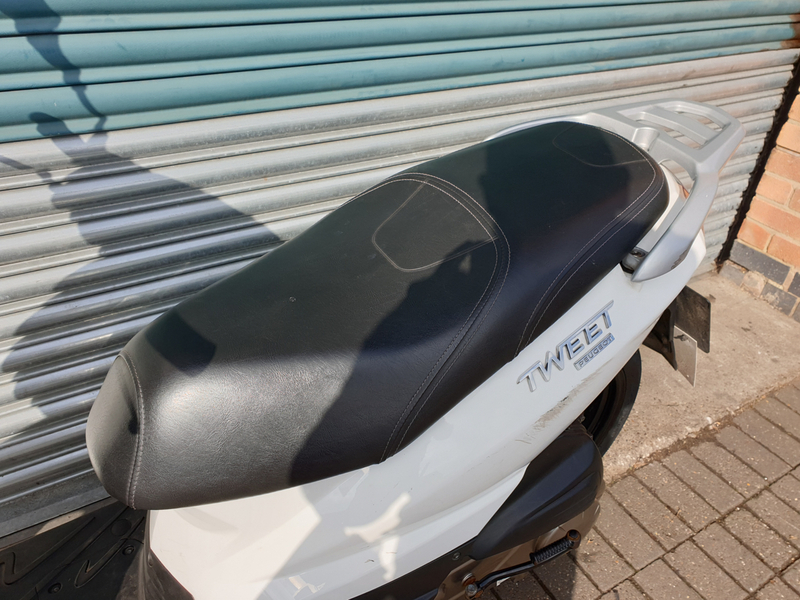 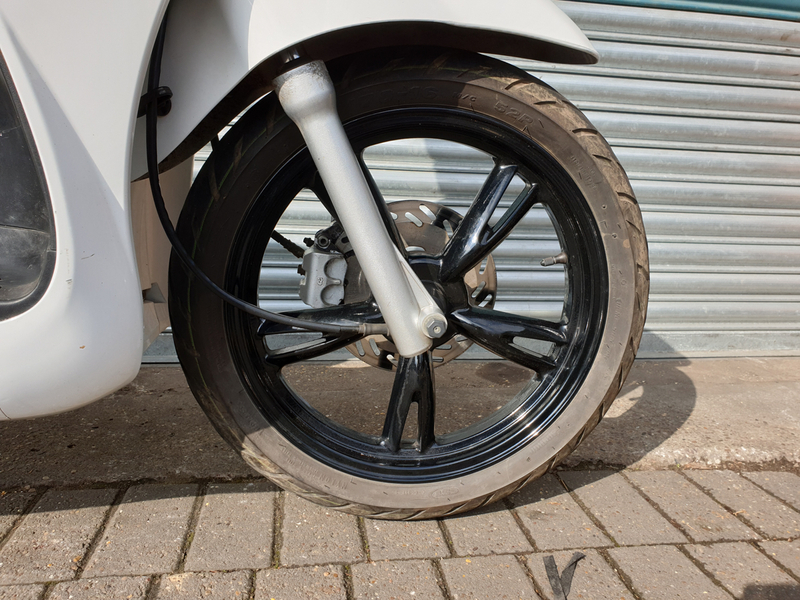 Having covered just over 15K miles, this scooter has been fully serviced by ourselves and will come with a 12-month MOT. 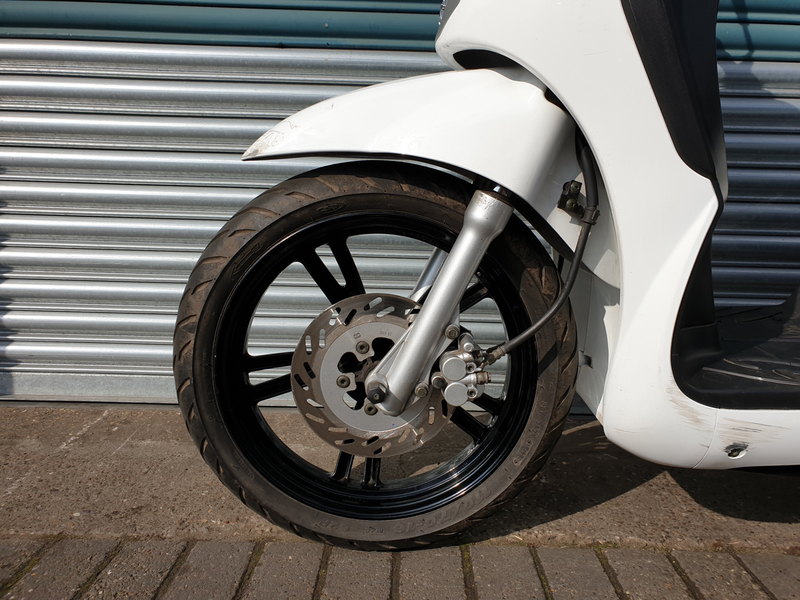 Light scratching can be seen around the bodywork, however nothing that detracts from the performance of the scooter. 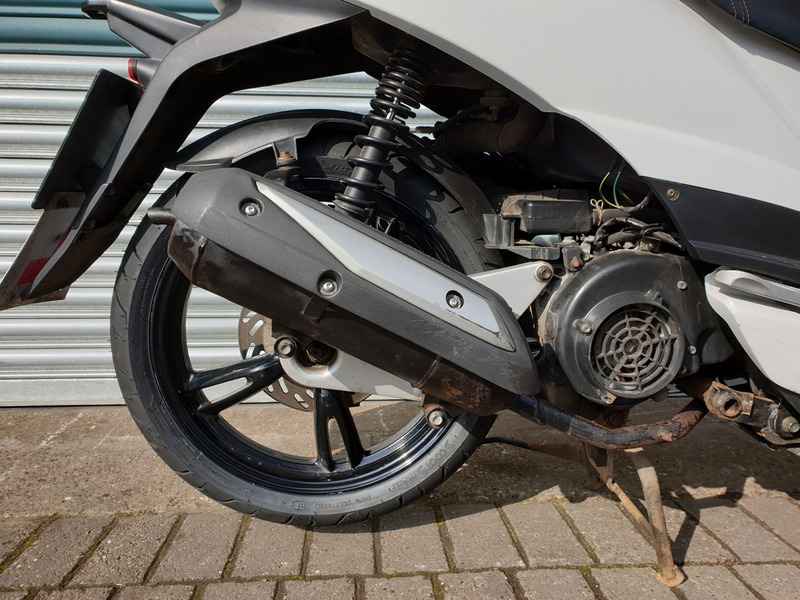 Front and rear disc brake, belt driven, electric start, 4-stroke single cylinder engine, telescopic front forks, rear dual sprung suspension, rear luggage rack, under-seat storage and glove box storage. 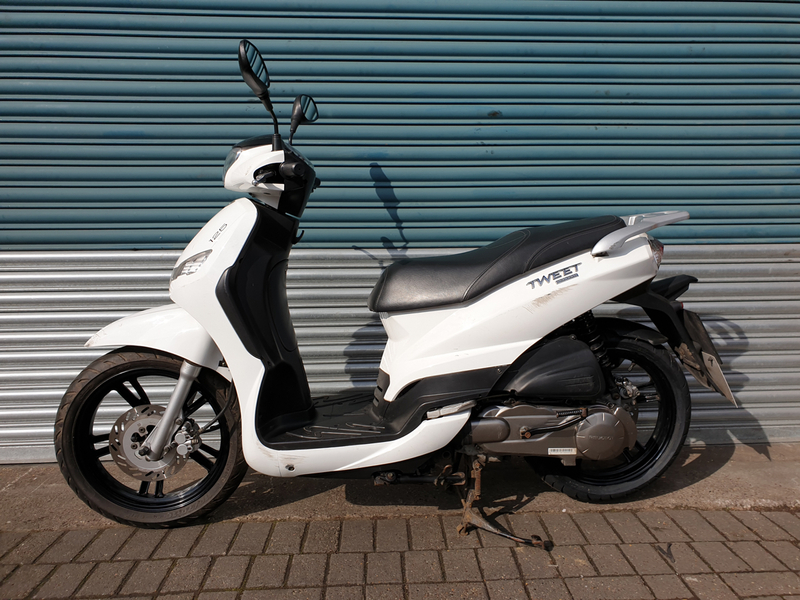 Got a question about this Peugeot Tweet 125?